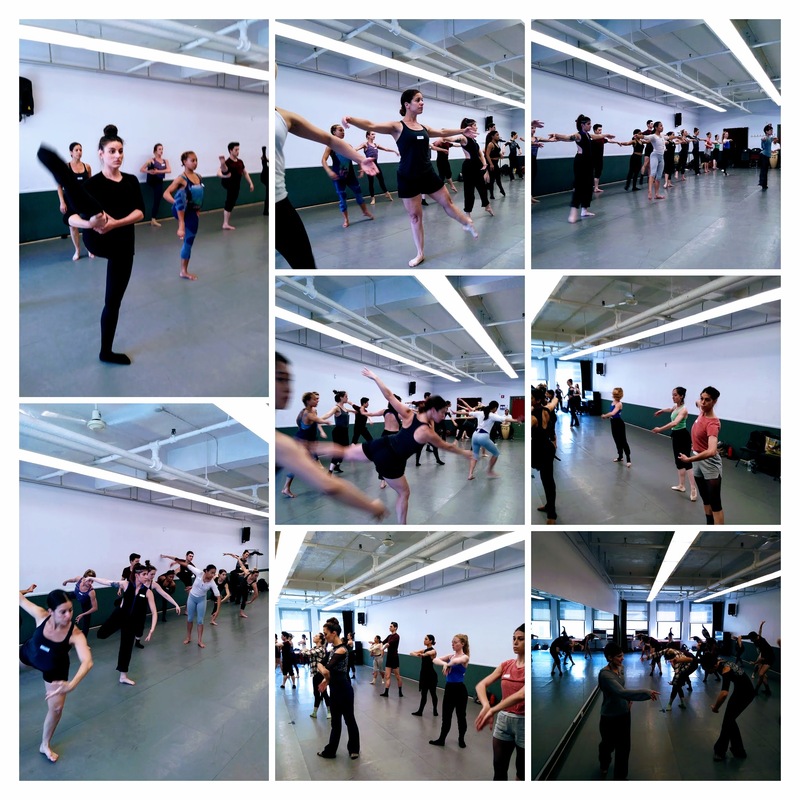 June 28th was the perfect day for a Master Class at Ripley-Grier. It was one of those sunny hot days in late June where you either want to be at the beach, or in a steamy hot dance class. That’s when we as dancers can move our best–when our muscles are malleable, and kicking our legs up high is not really a problem. Other seasons we need a bit more warming up, but during this class, during this Summer season, all bodies were sufficiently heated up, where the sweat was beading off the many faces attending, and all dance attire was completely soaked by the end of the class. These dancers were not faint of heart. They worked hard and displayed a high level of confidence and talent as they dug into my technique and combinations. Typically, I don’t hold auditions, as I feel that dancers don’t do their best under pressure, so I look for new dancers in performances, class or most commonly, I go on a recommendation. 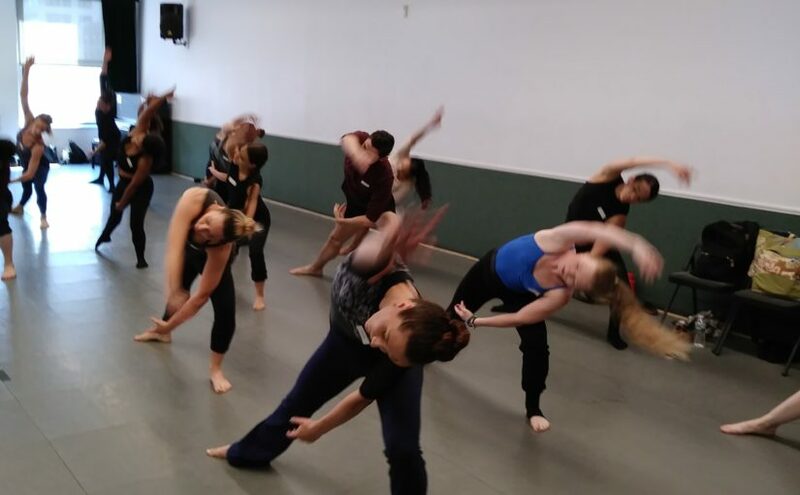 Holding my Master Class allowed me to invite a wide variety of dancers, and not only look for new talent, but also bestow what I feel is so important these days in the realm of knowing a higher potentiality with dance and self-care. This seems not to be talked about in most classes in our current climate. I was honored to have William Ruiz to accompany our class. Somewhere in my past travels in the subway, I heard William playing and grabbed his business card. Thankfully, I was able to find it in my wallet and called him to ask about playing for my class. Luckily he was available, and we immediately were speaking the same language. Pulling out all the stops, he effortlessly went from his Conga drum to his tongue drum, all the while blending his ankle bells into the music. William supported my combinations with exciting rhythms and the dancers really enjoyed the synergy of the class! 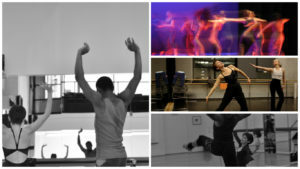 I loved seeing the transformation of the dancers within our short two hours. Once you give them an allowance to be themselves — to take risks and fall down if you have to — you really see them rise to another level of their craft! I look forward to our next time together, sweating it out and sharing our bliss of dance and music! The bonus of the day was finding out that Ripley-Grier will be taking over the DANY studios up the street! How did I find that out? I ran into Stas that day, the studio’s right hand-man. After a big reunion hug, he asked if I wanted to say “hi” to Butch, the studio’s owner. “Of course,” I replied, and happily accompanied him to his office. “It’s been too long,” we both said. After two-plus decades of renting from them, I got to know Butch, and always valued his kindness and keen entrepreneurial ways. NYC would not be the same without him. He shared pictures of his daughter’s graduation, which blew me away, as I remember her back when she was just a toddler. Time flies when you’re having fun dancing all these years! He pointed out the window and explained that he took over the DANY… “See the sign? Coming soon?” Oh wow! I was thrilled to know someone of such high caliber took over that iconic space which has been a New York treasure for many years. With all the spaces closing in NYC, it’s nice to know there’s a decent takeover happening — the likes of which will keep dancers sweating for many generations to come! Master Class with Mitzi Adams on June 28th! JUNE 28th Master Class from 3:00-5:00 at Ripley Grier Studios, NYC! Put down your devices and come join me for two hours of dance jamming that will bring you back to the basics, and raise you up to a new level of your technique! I can promise you two hours of getting to know yourself. If you have what it takes to pull out your technique, make a mess of yourself and have no regrets, and can inform me that you know your somatic body and how it works from the inside-out, than I’m interested in you! My classes are built from a fusion of techniques learned over decades of being in the field. I’ve drawn upon the teachings of pioneers who carved the way for modern dance first hand. Perhaps I am in the last generation of those that have studied with the Masters of Modern Dance, a few of whom have since passed. I have been the student of many of their students, as well– company members of those pioneers. Most of them are still alive, but eventually they die off, and so on and so on… the techniques trickle down slowly, but eventually the trickle becomes a weak stream. Uh oh! Lookout! We can’t lose these precious pearls of wisdom! They have to be passed on or we risk losing the essence of our ancestry. I’ve absorbed and digested the goodness of my mentors, and have gathered ingredients that sing their praises, yet I have kept my finger on the pulse of the dance culture of today. The resultant material I offer in my classes filters through a sieve of my past experiences. I hope you’ll glean from the colander of nutritious gifts I have been given through the years! 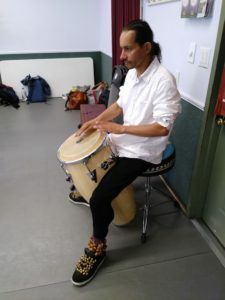 African drummers will accompany this class for an overall upbeat experience! Master Class with Mitzi Adams – Seeking strong male and female dancers for upcoming projects! Registering now for a Master Class in Contemporary Technique for Int/Adv Dancers, with Mitzi Adams, Artistic Director for Adams Company Dance, now in its 26th year. A sought-after Master teacher who has taught at numerous colleges and universities thought the country, and currently listed on A Growing List of Active Women Choreographers in Dance Magazine, Mitzi Adams has been choreographing works for the past twenty-six years and has received numerous awards and distinctions for her choreography. Price: $20 (Pay day of class by cash, or all major credit cards–NO checks accepted). No walk-ins. Must register! Space is limited. Register ASAP! To register, please email Don Adams, GM: adamscodancegm@gmail.com or call 203.981.4553.